Can Housing First work in Wales? Alex Osmond reflects on the issues after hearing from the man who developed an approach that’s been adopted around the world. I recently saw the 2015 film Spotlight, about reporters and lawyers in Boston working together to break the story of the child abuse scandal being covered up by the Catholic Church. A key theme of the film is that it takes an ‘outsider’ – in the film’s own words – to see the situation for what it is, and work to change it. 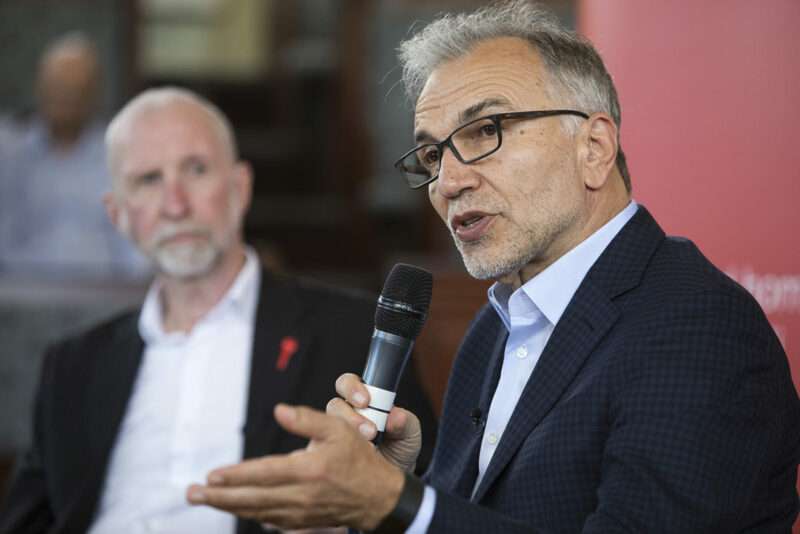 Dr Sam Tsemberis was an outsider – his own word, and one used by The Washington Postwhen it interviewed him three years ago; he was working outsidethe housing sector, looking simply to rehabilitate people with severe mental health issues, as well as addiction in many cases. He was not focused on housing or even homelessness – just recovery. It just happens to be a process of rehabilitation in which a patient is provided with housing, first. Tsemberis was reminded of this ‘outsider’ label in conversation with John Puzey at a Shelter Cymru seminar in September, where he discussed Housing First and its origins. Tsemberis is seen as the architect of the idea, devising the ‘Pathway to Housing’ initiative in the early 1990s after working as a community psychologist dealing with entrenched homeless people on the streets of New York. Housing First’s core is the provision of housing for homeless people; crucially, the housing is notcontingent on the client receiving support or being abstinent from substances or alcohol. Client choice when it comes to accommodation is vital too. The approach has been successful in the USA, France, Canada, Finland – where Housing First is the cornerstone of the country’s entire homelessness policy – and in other countries. Not only does it effectively help very vulnerable people transform their lives, research has also shown it to be cost-effective. The Wallich, where I work, has long been invested in the system: in Anglesey, we’ve delivered Housing First for over five years. Now, more providers across Wales are in the early stages, or planning processes, of delivering it too. What’s more, the Welsh Government officially endorses it. In my view, however, issues remain. To achieve public support, more communication is needed, if we are to convince a population of people who might struggle to attain their own housing, why the especially chaotic should be given theirs. 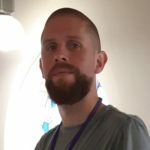 Additionally, providers of more ‘traditional’ hostels and similar support approaches (which include The Wallich, though we are eager to do more Housing First) can be resistant to changes they think might eliminate their work. It is also important to remember that Housing First has been shown to be most successful for a particular group of clients: chaotic, extremely vulnerable, entrenched homeless people, usually with multiple diagnoses and substance use issues. Prior to the Shelter Cymru seminar, Dr Tsemberis met the Welsh minister for housing and regeneration; when it comes to Housing First in Wales, Tsemberis is optimistic. He calls the government positive, and claims that Housing First, in his view, ‘will happen’ here. Tsemberis suggests that starting Housing First across a country could involve a set of pilot projects, scattered in different areas – rural and urban – which could in turn generate ‘local’ evidence of the system’s efficacy. Stakeholders are far more likely to be swayed by a cost-benefit analysis that deals in the currency – and with the institutions and organisations – that they know. Tsemberis also addressed some of the concerns I raised earlier in this article. First, the issue of people waiting for housing viewing those allocated accommodation as part of Housing First as ‘jumping the queue’. Essentially, the clients who will be engaging with Housing First are a different group, in different need to those who might be patiently waiting for social housing. If they were placed on a waiting list, it’s quite possible they’d have disappeared by the time it was ‘their turn’. This makes sense. My larger concern remains how Housing First will play not just to other arguably less vulnerable people waiting to be housed, but to a public who themselves find it very difficult and costly to rent or buy property today – acts that have always been seen as an important part of British life. Ultimately, I think, this is part of a larger concern about spiralling rent and property prices and unscrupulous practices by landlords; the less difficult it is for an ordinary family to afford somewhere to live, the less disgruntled they might be at the idea of individuals being allocated accommodation at the start of their support. We’ll need to take care to communicate the benefits of Housing First well, in any case. Additionally, landlords in the private rented sector need more incentives to offer accommodation for use in Housing First. I hope Welsh Government is considering these issues as part of their endorsement of the regime. Finally, when it comes to the issue of more traditional service providers feeling threatened by Housing First, Tsemberis suggested that this is a case of missing the point. I’ve already mentioned Finland, a country that adopted Housing First not by getting rid of hostels altogether, but by converting them into Housing First properties. Staff with experience of supporting vulnerable people are still needed; it’s just a matter of changing perspective. Tsemberis said that visiting a small country with a more intact sense of community than he was used to made him optimistic, and that the homelessness numbers in Wales seemed manageable. After looking dejectedly at these numbers rising for so long now, I realise that perhaps it takes an outsider to voice such hope. WHQ is the magazine for everyone involved in Welsh housing. For more details about subscribing go here.